Travelling on a long haul flight is an experience in itself. Some enjoy it and some abhor it. But then, it is a fact that long flights do tend to disorient you when you pass through various time zones and unless you take certain precautions and plan it out you would have a miserable flight. Hydrate well the night before the flight, preferably with electrolyte drinks like Gatorade. Get an aisle or exit row seat so you can get up and walk around wherever possible. You need to wear clothes that would be roomy and comfy for the long hours that you are going to be seated. Pack some layers as the temperature in the cabin becomes pretty cold. Pack a pair of cosy socks too. Although in flight snacks are provided they may not be enough for the long duration of the flight. Besides, you can have them when you want. Carry high protein stuff as you are mostly served more of carbohydrates and less of protein in the flight. Also, carry extra water which can be obtained after having crossed security. This you may require later as the air in the cabin is dry and you need to avoid dehydration. Dr Hosea says that maintaining electrolyte balance is important and that you don’t want to become completely diluted with water, particularly the older folks or people with medical problems. ” The combination of dehydration and stasis is really the issue with blood clots,” he explains. 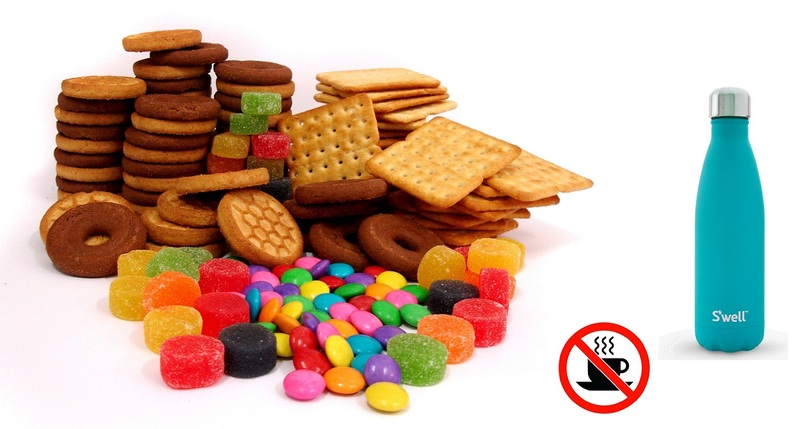 Besides the snacks and water, make sure that you load your laptop, kindle, smart phone, etc. with your television shows, books, music, movies and games as all this will help pass your time effectively. This is a vital acquisition for your journey. 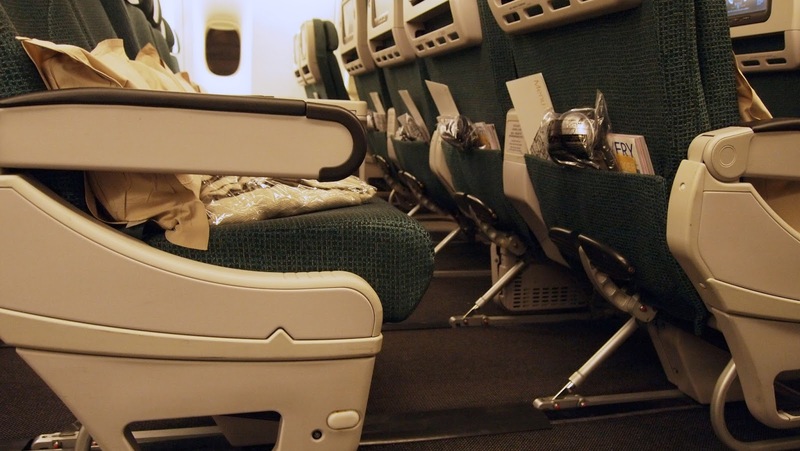 If you are the type to doze off as soon as the flight takes off then a window seat is ideal for you as no one will disturb you when they get up from their seats. A 10-12 hour flight will definitely want people to visit the toilets a few times. 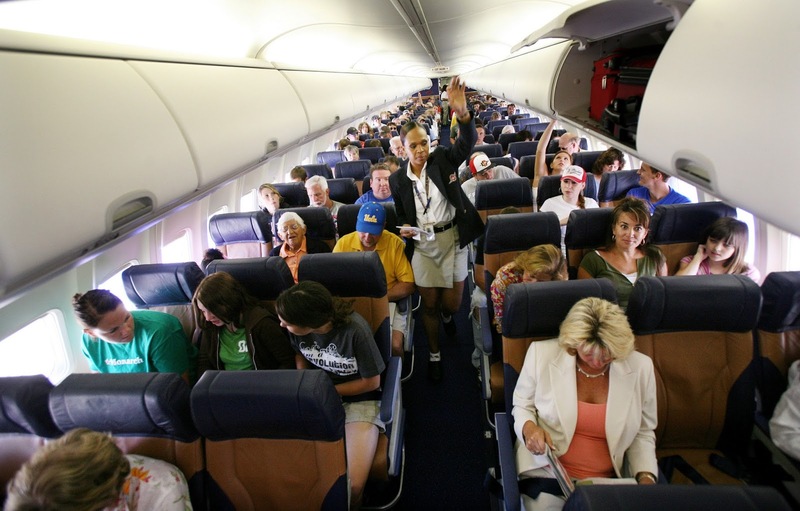 If you are a restless type then an aisle seat is the best for you. 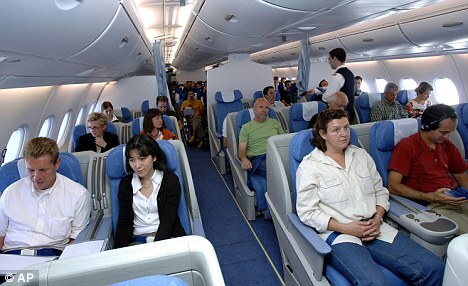 Being a long flight the seat allocation becomes very important in so far as your comfort goes. As you are carrying your passport, credit cards, costly devices, etc. you must ensure their safety. Keep your bags and all the items secure because being a lengthy flight you don’t want losing out on any of your items. Time passes slowly if you don’t organize yourself. Don’t read while eating. Space it out. Then do some reading and if you get tired of reading watch your favourite show or a movie. In between rest a bit. Play some games on your device or do a crossword puzzle. Add variety to your activities. Even write a story or plan your trip further. Here is where you actually have time on your hands. While you are into doing a lot of things to pass time you can try and engage your neighbour in a friendly conversation. You never know you might turn out to have a lot of common topics to discuss about or you may be having a common approach to a lot of issues. Anything is possible so take the plunge and talk to him. If he turns out to be a grumpy and a non-talkative type then its sheer bad luck. You can then give him space and do your own things. 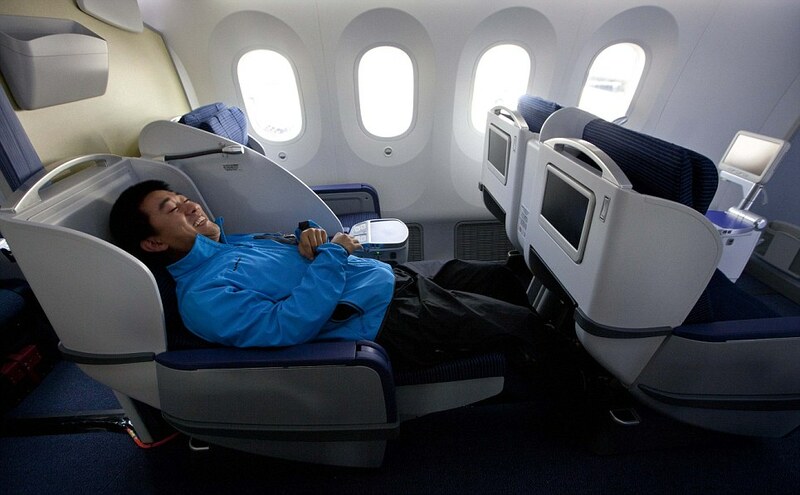 The next most important facet after choosing your seat is planning your sleep. This feature is the deciding course as to your being fresh or unsettled after you arrive at your destination. Carry your own pillow such as a type that attaches to the back of the seat and provides comfort and support for your neck and head or a type that provides neck and lumbar support and makes your position more comfortable. Keep an eye mask ready to block out the light and earplugs to shut off the noises emanating from the aircraft engines or babies or children or others. Have a sleeping aid handy. Sleeping aids like Nyquil, Lunesta, Ambien, and melatonin should do the trick. Definitely, do not try alcohol as an aid as alcohol is not only a depressant but also a dehydrating agent. Being seated for more than 10 hours is prone to physical problems. The risk of Deep Vein Thrombosis (DVT) developing increases when flights go longer than 4 hours. DVT is a formation of a blood clot in a deep vein that can develop after sitting on long flights. Older and overweight people are more susceptible to this. As per National Institutes of Health walking up and down the aisles of the plane; moving, flexing and stretching your legs to encourage blood flow, especially in your calves; wearing loose and comfortable clothing; drinking plenty of fluids and avoiding alcohol is important. Also, where there is an increased risk for DVT, a doctor may recommend wearing compression stockings while travelling or taking a blood-thinning medicine before flying. Doing simple exercises also helps. The last hour of the flight is the time when you start getting ready to look like you were when you boarded the flight-fresh and clean. You need to go to the bathroom, brush and freshen up and change clothes feeling good and confident. Don’t wait for the last minute as you might find all the bathrooms occupied and not available and needless to say,that would really spoil your day.